Brahmaastra will debunk WWE wrestler Saurabh Gurjar. 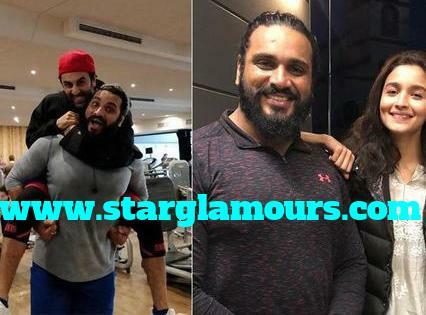 A WWE wrestler Saurabh Gurjar is going to debut on the silver screen with Amitabh Bachchan, Ranbir Kapoor, Aaliya Bhatt and Munni Roy's main character, 'Brahmastra'. Saurabh will have a negative role in this film. The release of director Ayan Mukherjee's upcoming film 'Brahmastra' is being eagerly awaited in Bollywood. The film will see a huge starcast like Amitabh Bachchan, Ranbir Kapoor, Alia Bhatt and Mouni Roy. Now news is that there is another special member in this team. World Wrestling Entertainment (WWE) wrestler Saurabh Gurjar is also going to debut on the silver screen from this movie. Saurabh has confirmed this through his social media posts. Saurabh also shares his photographs with Ranbir, Ali and Amitabh Bachchan on social media.